Daryl Horgan celebrates his goal against Livingston, but later admitted Hibs lacked quality in the final third. Picture: SNS. The signing deadline was still hours away when Hibernian called a halt to conjecture, rumours and hope with a statement on Friday that their activity had concluded. However, defeat at Livingston only hours later will have done nothing to end the debate surrounding the club’s transfer business. The Easter Road outfit highlighted the arrival of eight new recruits, six of whom are senior internationalists, but a lack of last-minute wheeling and dealing was a disappointment for some supporters eager for the addition of a late spark of excitement to a transfer window in which Hibs did much of their work early. Manager Neil Lennon had expressed a desire for “one or two more” and even on Friday revealed he had “plates spinning” on ongoing deals. In the end, however, there was no return for Scott Allan, no move to Turkey for Efe Ambrose, no new defender and no striking reinforcements, but the loss at Livingston ensured there remain plenty of question marks. 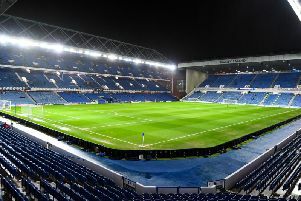 Hibs, who handed a first start to 21-year-old striker Lewis Allan, were without star striker Flo Kamberi, number one keeper Ofir Marciano, skipper David Gray and midfield enforcer Marvin Bartley at the Tony Macaroni Arena because of injury, while experienced Australia midfielder Mark Milligan remains unavailable as a work permit is finalised. Emerson Hyndman and Thomas Agyepong have still to settle and Jamie Maclaren is short of full fitness, but having gone a goal up courtesy of Daryl Horgan’s 52nd-minute opener they should still have been able to avoid a first defeat of the domestic campaign. Lennon lamented “awful defending” but deflected attention away from his squad by insisting he would take responsibility for the defeat, insisting he would have to consider his team’s formation and style as they work through a “transitional phase”. He and his squad now have a fortnight to stew over a performance that mostly lacked cohesion, defensive fortitude and attacking incisiveness, and Horgan admitted the new recruits may just need more time. “To be fair, we didn’t play particularly well,” admitted Horgan, pictured. “In the first half, I thought we were comfortable and in control. A lack of quality in the final third was the killer for us. We looked very solid and got the goal, but we weren’t good enough, to be honest. Although Martin Boyle threatened sporadically from the right wing, Hibs lacked someone capable of taking the game by the scruff of the neck. Horgan was impressive, but Stevie Mallan had an off-day and on Livingston’s much-criticised synthetic surface and against their combative game-plan too many in green fell short of the standard expected by Lennon. Horgan poked in the opening goal shortly after the break when Ambrose’s long throw-in led to ping-pong inside the Livingston box. Although the breakthrough should have settled the visitors, it only served to spark an instant revival in the home ranks. Ambrose was short with a defensive header and the excellent Shaun Byrne slalomed his way past lunging challenges by Mallan and Boyle before slipping the equaliser through the legs of Ryan Porteous and into the net. Livingston’s first victory over Hibs since April 2005 was then secured in circumstances that summed up the visitors’ afternoon. They fell asleep after making a substitution and, although Lennon later claimed referee Steven McLean had wrongly allowed play to restart without sounding his whistle, the hosts should have been stopped before Scott Pittman drilled in from a kind ricochet at the edge of the box. Pittman is the epitome of this Livingston team, who have impressively shrugged off the turmoil of Kenny Miller’s departure from the dugout to post consecutive victories under new manager Gary Holt. The midfielder was working on the roads and playing in the Juniors liitle more than three years ago after being released by Hamilton Accies as a youngster. With determination, hard work and no little skill, he has now scored his first Premiership goal to provide confidence that the Almondvale outfit are back in the top flight to stay.